This giveaway is now over. Thanks to all who entered! To see who the lucky winners are, click HERE! The voting has begun for which Summer Solstice bag is liked the most. You've already seen my entry into this contest. So now hop on over to this photo album on Facebook and click on each bag. "Like" whichever one you like better. The patchwork bag really is darling and a nice use of the fabric line. 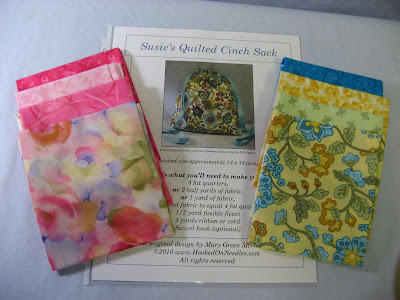 If you like Susie's Quilted Cinch Sack in teal, how would you like a chance to win the same bag in pink? I'm calling this one Pink Lemonade. I just love this floral fabric and really can't decide if I like the teal or the pink better. It's just such a happy design! Here is Pink Lemonade from the back. And here's the inside where you can see the three pockets and the swivel hook strap to hold keys. Here's a surprise for you...a second prize for this giveaway! The second name drawn will receive a printed copy of the pattern for Susie's Quilted Cinch Sack and their choice of either pink or yellow fat quarters to make their own bag. 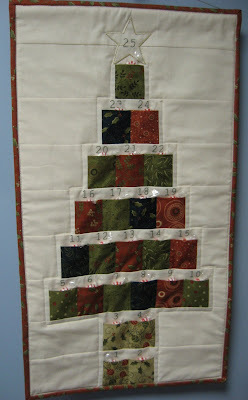 These fabrics are fat quarters of top quality quilting fabric chosen from my own fat quarter collection. So here are the rules for entering this giveaway...pay attention because they are very complicated :) Ready? Rule #1: Leave a comment on this post, making sure that I can contact you by email, and telling me what features you like in a bag. That's it. Just one rule. The drawing will be held on May 14. Feel free to share this giveaway with your friends. If you would like to make a bag like this for yourself, my pattern is available as a PDF file for only $3.00 in my Etsy shop, so stop over there and check it out. The bag is really cute! Yes, I'd like to enter in this giveaway, thanks for the opportunity. Your fat quarters have beautiful selections! I love the new "bag" you have come up with! I thought I was a bag lady, but you have the title. Nicely done. The thing I like most in a bag is pockets. 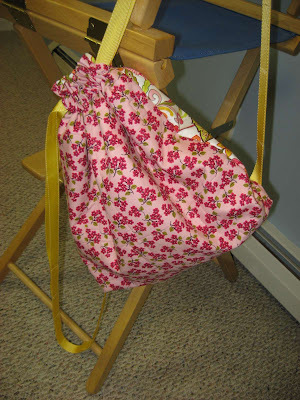 Your cinch sack is adorable. Oh I'd love to win this bag! What I like best are the bright cheerful fabrics and the straps - I could throw it on like a backpack when my hands were too full. 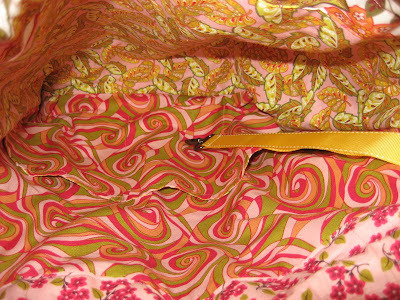 Great bag, Mary Grace, because it has one of the things I must have in a bag....pockets!! 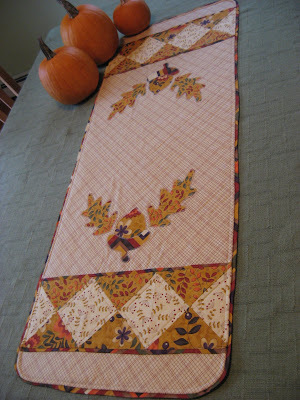 And pretty fabric, too! I would be "sew" happy to win your bag or the 2nd prize would be great, too. The pink fat quarters are delicious! :-) Happy Mother's Day!! I love the pattern, it's beautiful....I would be honored to win. The thing I love most about bags is that I need one for almost every different outfit. There isn't one that I own that goes with "everything" even though there are a few that go with many of my things... but I still need more! Yours will be a great addition to my wardrobe. The bag is lovely! I love the way you do the inside pockets and all the small details, like the key chain clip. I know if I was to attempt one it would make me scream--you make it look so easy! As always you do beautious work! Sharonj. The colors of the fabrics used in this bag will look wonderful with any outfit. The print of the material reminds me of Woodstock and warm summer days (with lemonade, of course). When I consider buying a purse, I look for one with pockets; this is perfect. You've made a beauty, Mary Grace! Love, love , love the bag! Every color way looks wonderful. What a happy bag! I love the colors you used, and it is nicely made. I think it would look nice on my shoulder! oh it's so pretty!! I love the strap detail at the end of the pocket zip! You are very creative, and you're able to translate that into beautiful articles! All of us would be honored to win ANY of your creations, thanks for sharing and giving us that opportunity. Such a cute bag! I like the swivel hook and inside pockets. I also love the floral fabric you chose for the front. Thanks! 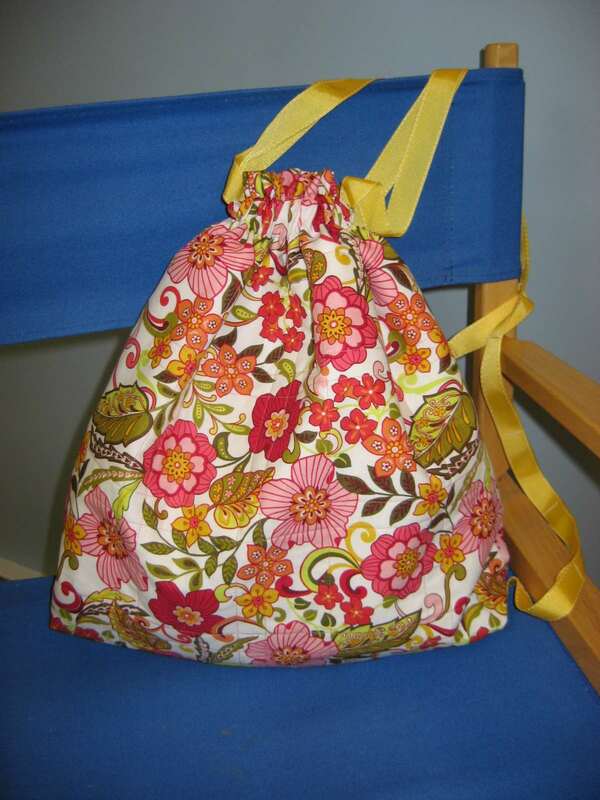 I'd love the chance to win this great bag or the pattern. The more pockets the merrier for my bits and pieces. I also like the swivel clip for keys. I love your bags MGM! I have found myself becoming a "bag lady" in my "old" age. lol.. I love bags that are fun and whimsical-yet functional and durable, and can be slung over the shoulder or held in a hand with just one strap and not have it drag on the floor... oh! and they can't be super costly.. i beat them up, throw them around and they are practically dead by the time I'm done with them. Oh please! Add me to the draw Mary Grace! I'd love to win! Especially the pattern!! Looks like a wonderful bag! Love the print,the color and most of all the pockets.who does not love pockets for the many things that we carry.I would love to win this bag. Great looking bag. I must have pockets. No pockets no bag. I would love to win this for my oldest daughter that loves, loves pink!